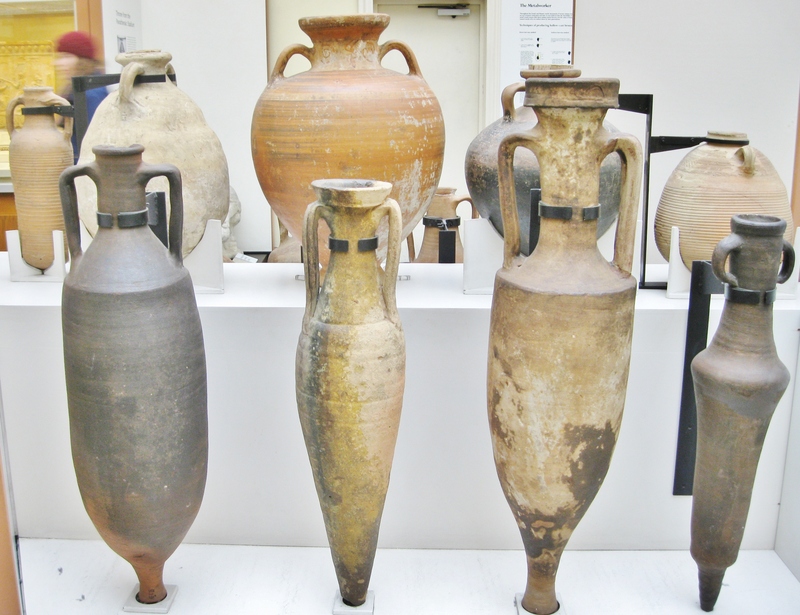 The British Museum’s holdings of Roman antiquities, broadly covering about 800 years, from the early Republic through the collapse of the western Empire, are so vast that only a very small percentage of the material on display can be presented here. We hope this brief photo essay, focusing on antiquities and displays that are the author’s personal favorites, will inspire greater interest in Roman art, history and culture, to which we are all so indebted. 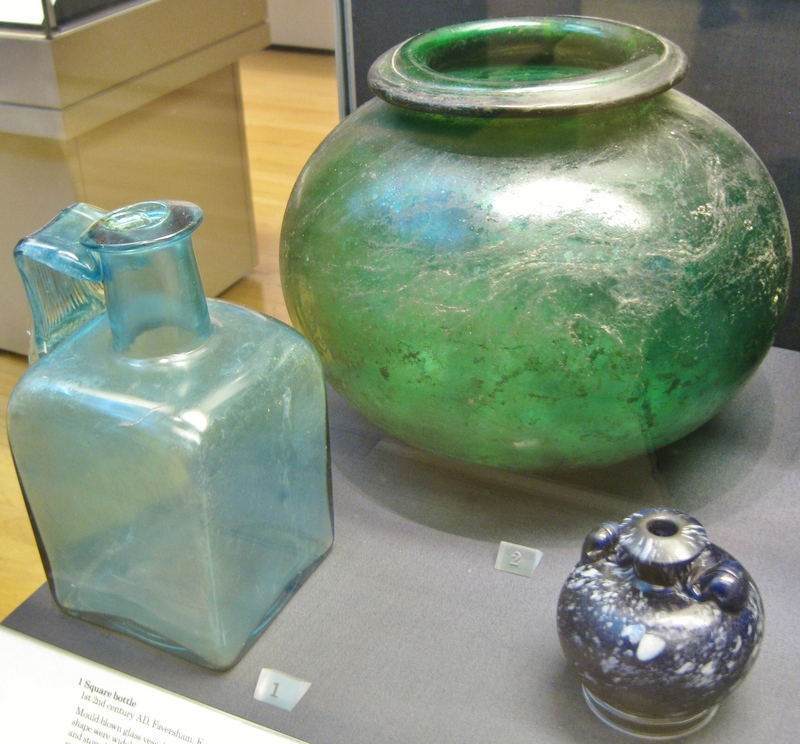 Examples of lead glazed pottery from various dates and locations around the Empire. 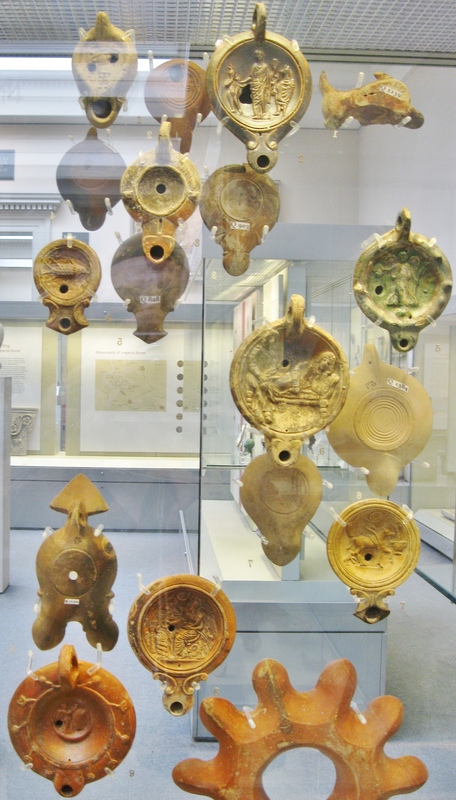 Examples of ceramic oil lamps from throughout the Empire, 1st-4th Century AD. 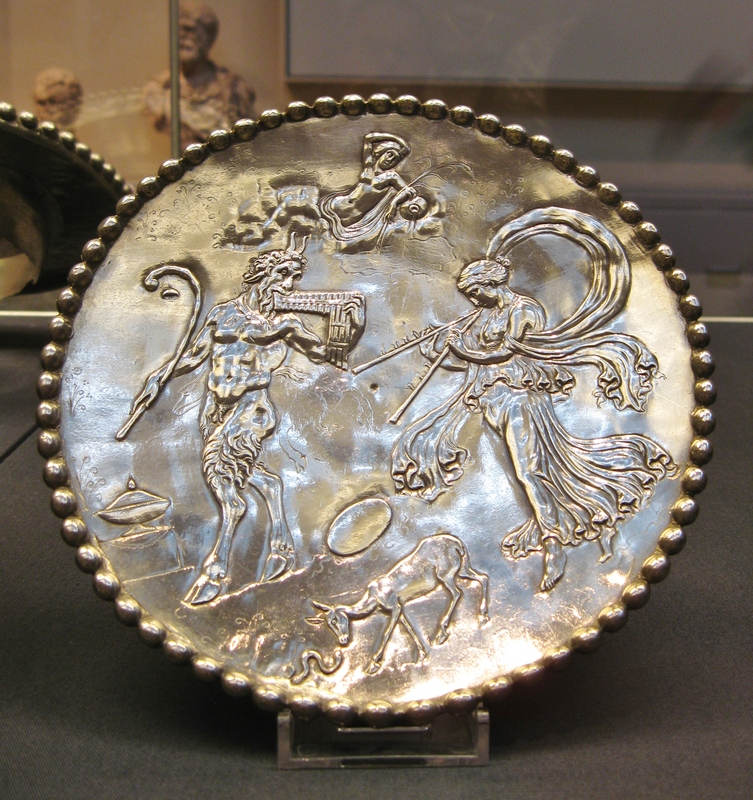 Disc brooches (fibulae), just one of many types of brooch, from the western provinces of the Empire, utilizing enameling or gilding. 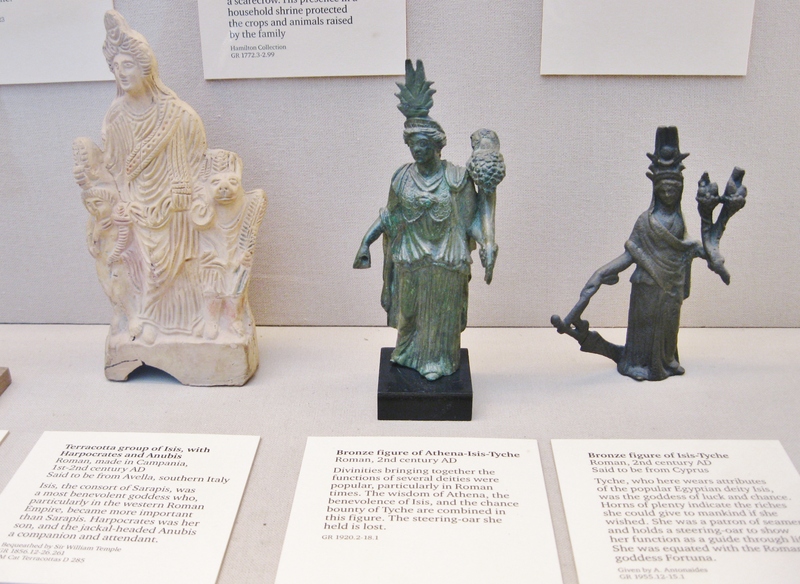 Bronze and terracotta deity statuettes for household or votive use. 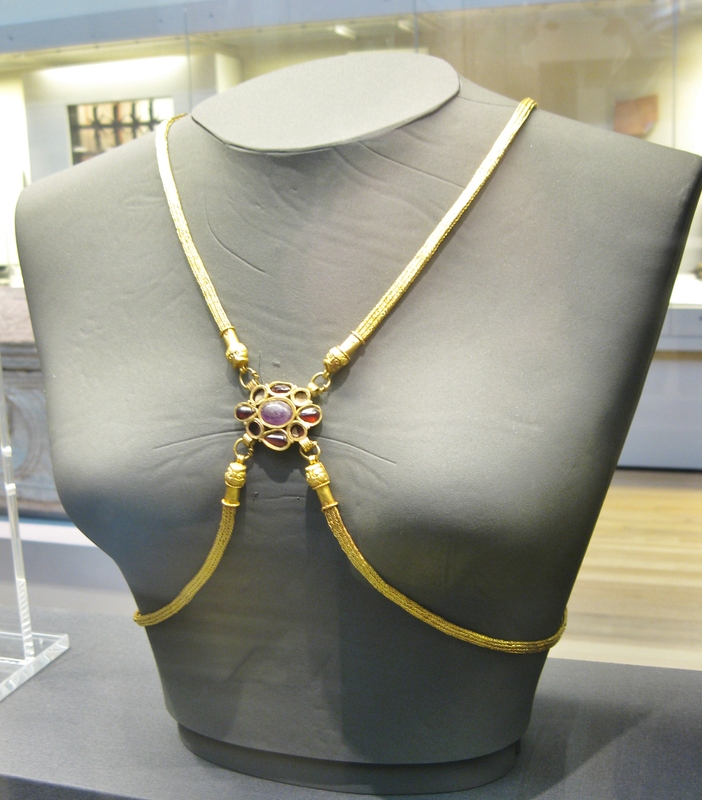 Gold body chain from the Hoxne Treaure, Britain, early 5th Century. Part of a vast treasure of gold and silver coins and objects buried as Roman Britain came to an end. Silver rings and scrap silver and the vessel they were found in, from the Snettisham Jeweller’s Hoard, Britain, 2nd Century AD. 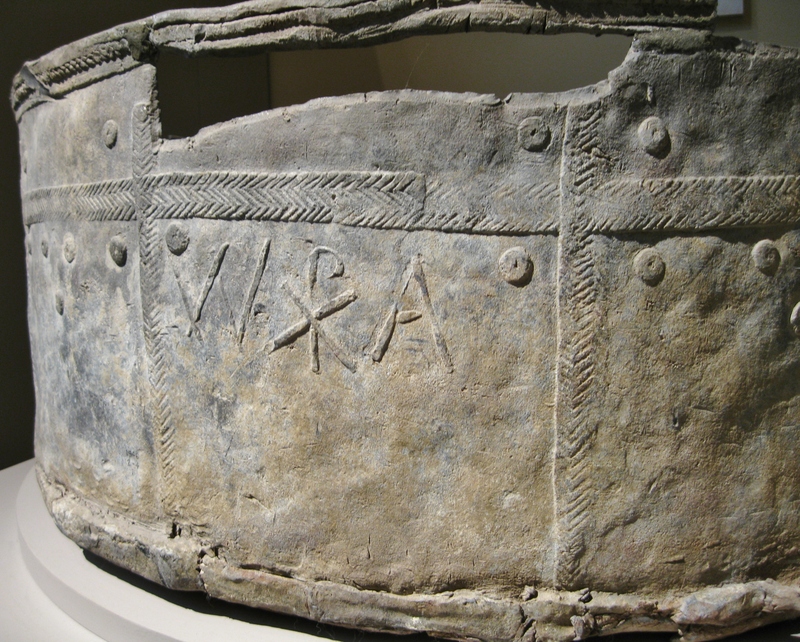 Lead water tank from Roman Britain, 4th Century AD, bearing the Chi-Rho symbol (early Christian). 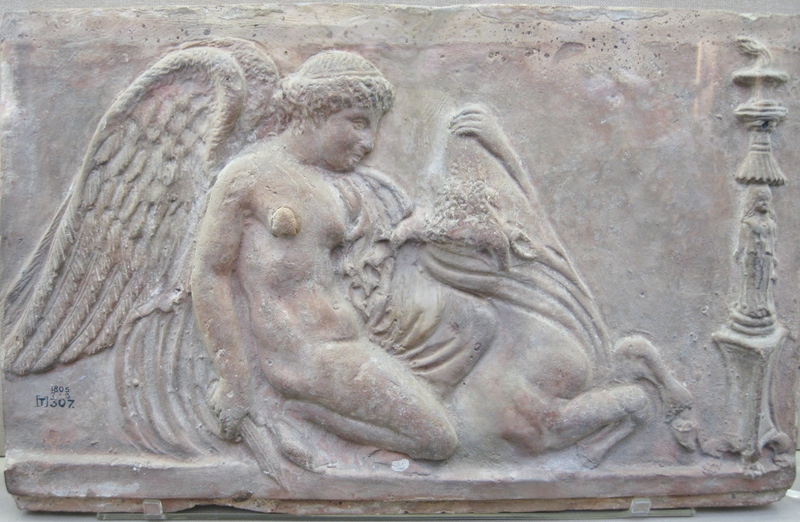 Terracotta architectural relief of Victory sacrificing a bull. Italy, late Republic or early Imperial. Terracotta panel showing scene from a Palaestra (wrestling school). 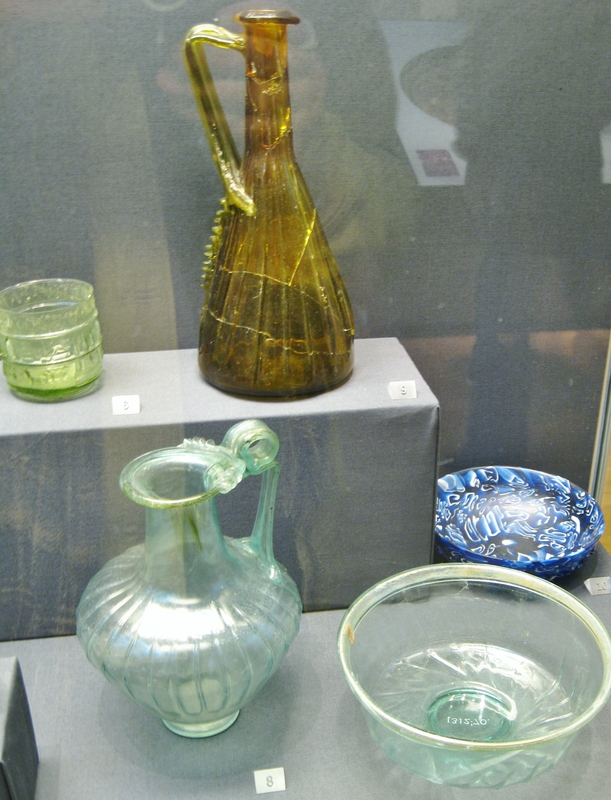 Italy, 1st Century AD. Terracotta statue of a girl, perhaps a Muse, 1st Century BC or AD, found at Porta Latina, Rome, in the 18th Century. 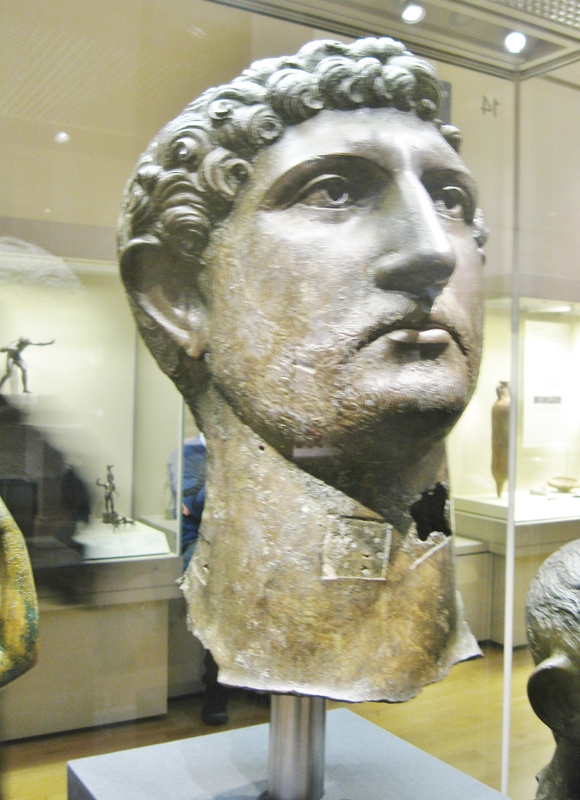 Bronze head of Hadrian, detached from a large statue, found in the River Thames in 1834. 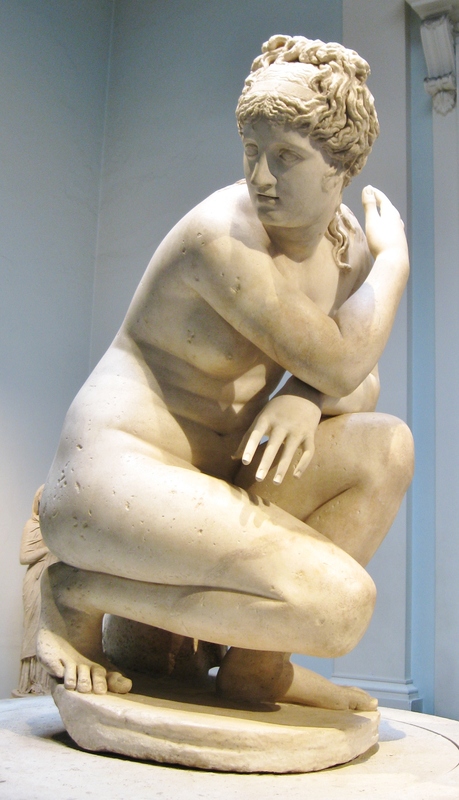 Venus (Aphrodite). 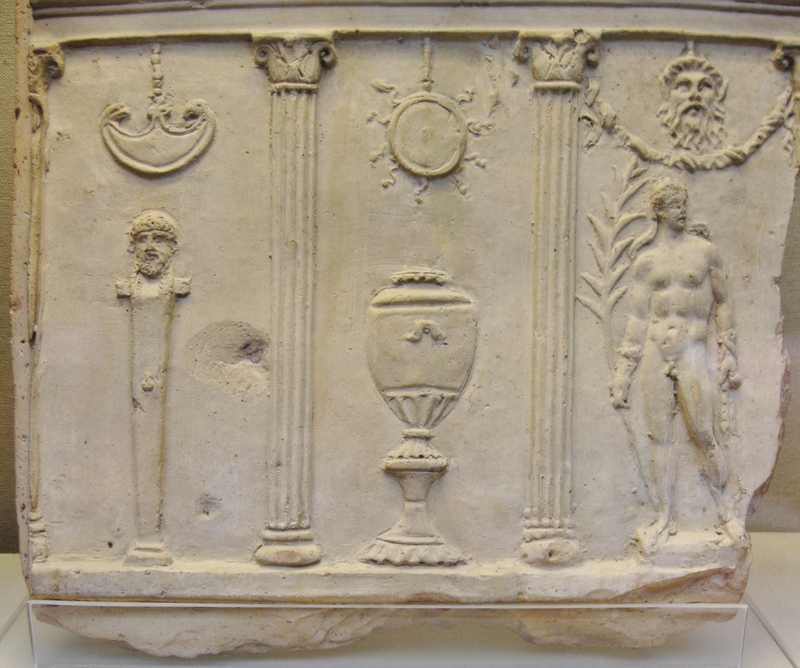 Marble, probably made in Rome, 1st or 2nd Century AD, after an earlier Greek original. 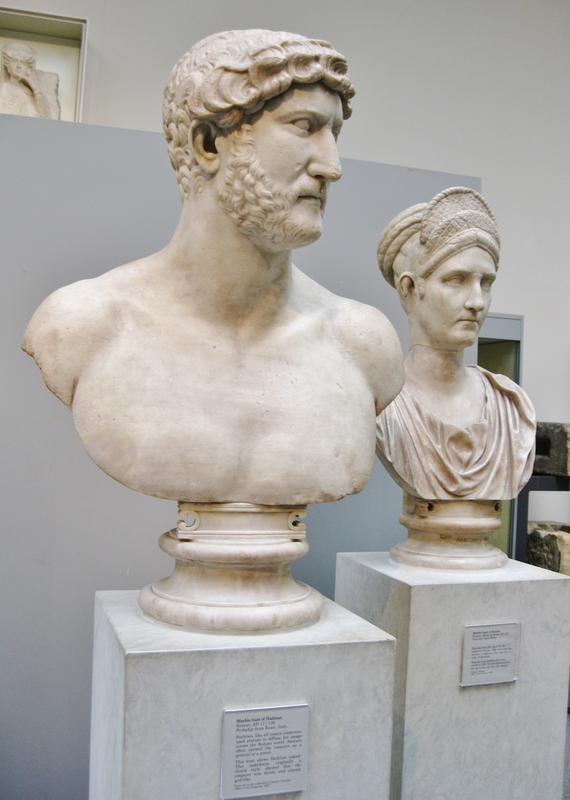 Portrait busts of Emperor Hadrian (AD 117-138) and his 2nd cousin Matidia. 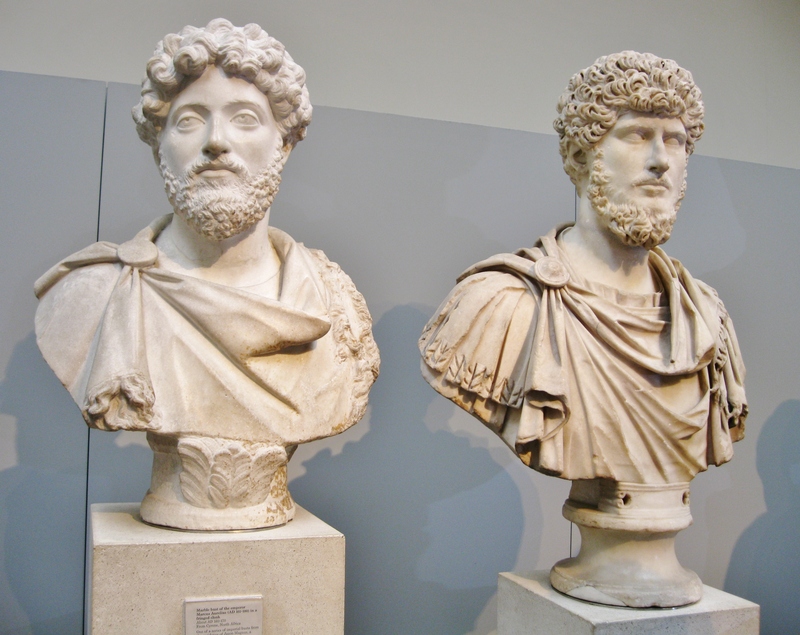 Portrait busts of the Emperor Marcus Aurelius (AD) and co-emperor Lucius Verus. Found at Cyrene, North Africa. 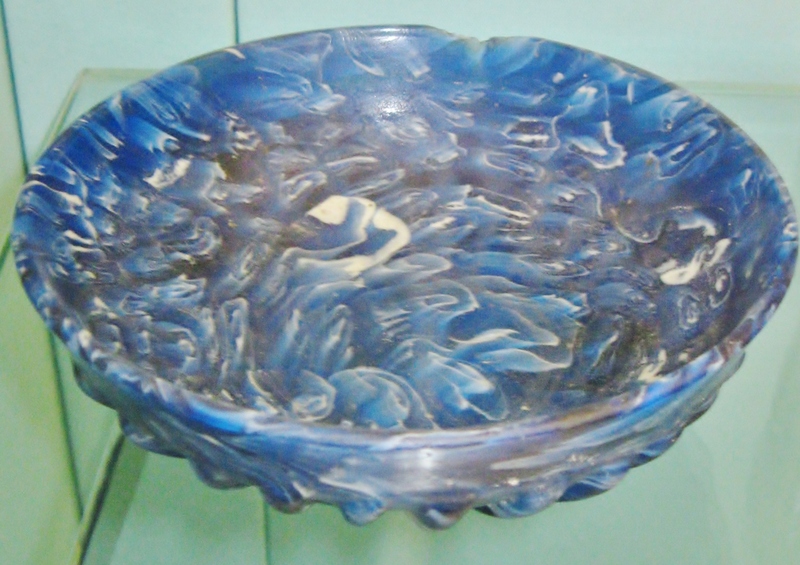 Made circa 160-170 AD. 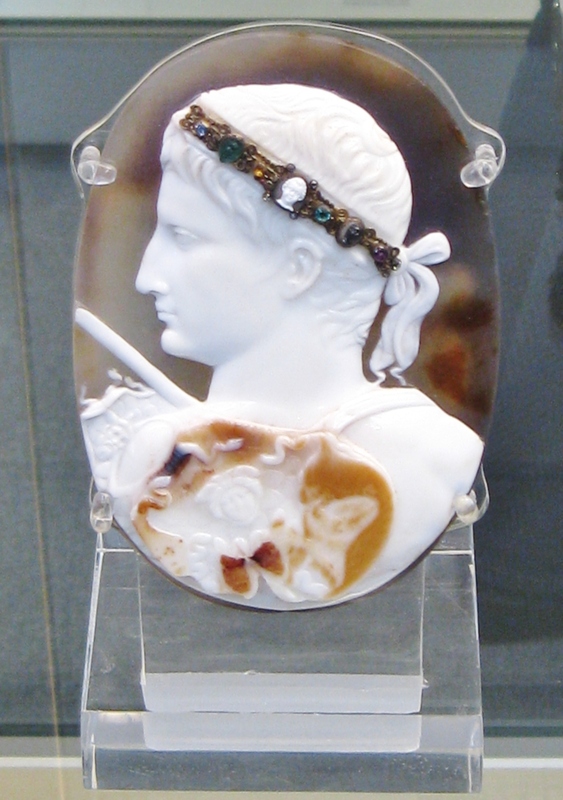 Three layered Sardonyx cameo of Emperor Augustus, made AD 14-20. 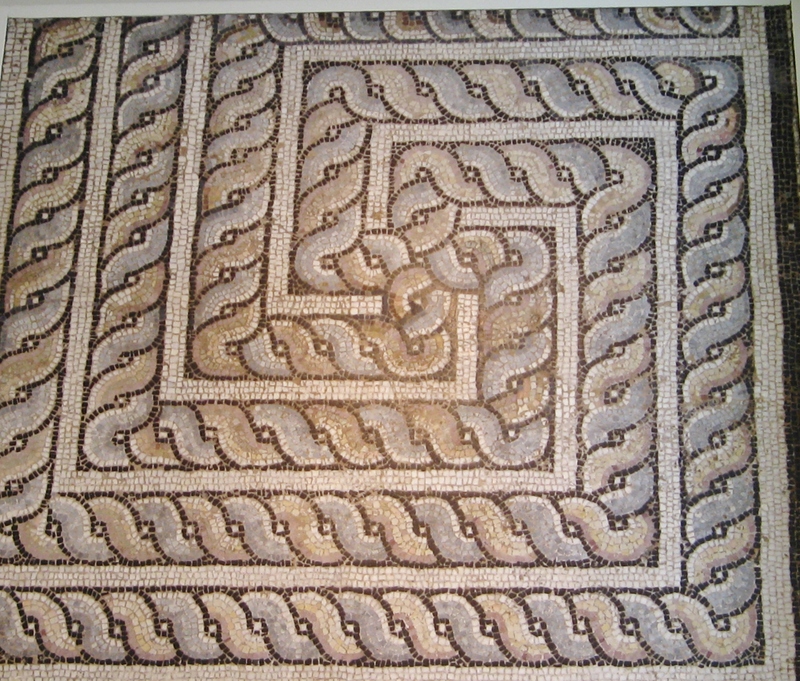 Mosaic with cable pattern from a Roman house in Utica (North Africa), 3rd Century AD. 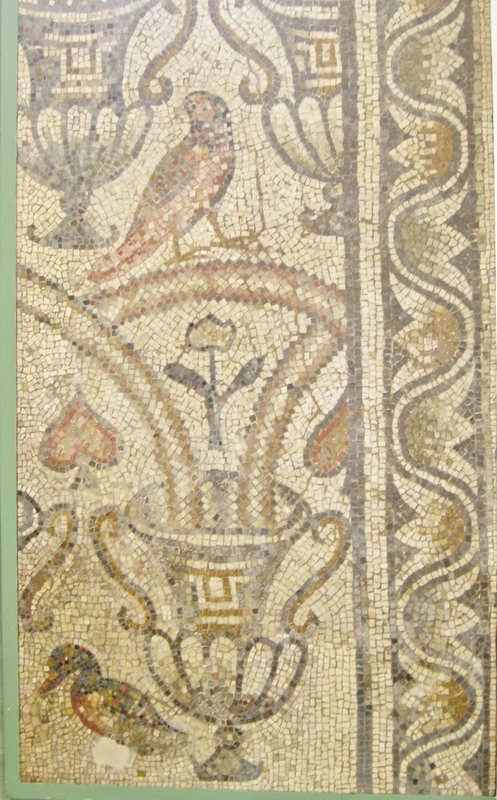 Mosaic panel from a late Roman house in Carthage (now Tunisia), 4th-5th Century AD. Mosaic panel with dolphins, from a Roman house in Halicarnassos (now Turkey) 4th Century AD. 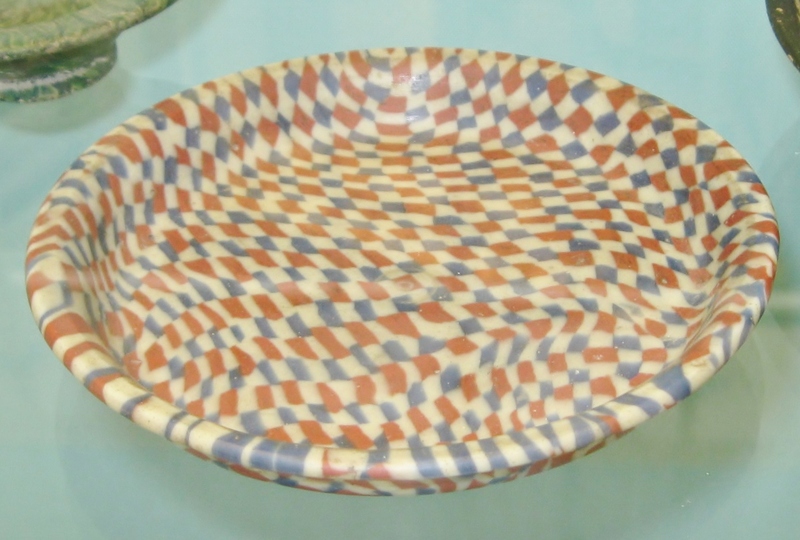 I love your ancient glass and pottery posts! Great source of inspiration for me as a potter. Thanks!